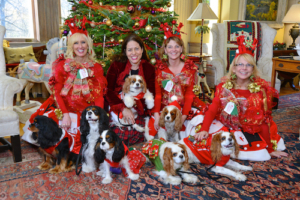 This 2 night lodging package includes pet portraits beside the Christmas tree, caroling beside the fire with award-winning songwriter, innkeeper Melissa and canine concierge, Jetson, doggie PJ party, and organic VT dog treats from Wagatha’s. Doggie sing-along and pet portraits are open to the public on Saturday, December 8, 2-4pm, $25 for 1 adult and dog. Additional people are $15 per person. Small breed dogs under 25 pounds only. PJ party for guests only is 8pm-9pm. Dress your dog in PJs and wear your flannel nightie or PJs too! Melissa sings holiday favorites and lullabies to the dogs. Guaranteed to bring sweet dreams. Bring your dogs to breakfast. 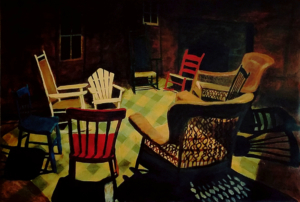 For more information call 802-362-2500 or email wilburtoninn@gmail.com. 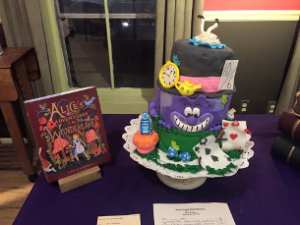 Northshire Bookstore is hosting our sixth annual cake auction to benefit the Book Angel Program. The public is invited to a wine and cheese reception where there will be bidding for donated, book-themed cakes. All proceeds will be used to purchase books for children who benefit from the Book Angel Program. 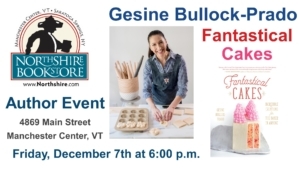 Then at 6:00 p.m. Gesine Bullock-Prado, the host of Food Network's Baked in Vermont series, will be presenting her new book Fantastical Cakes: Incredible Creations for the Baker in Everyone. 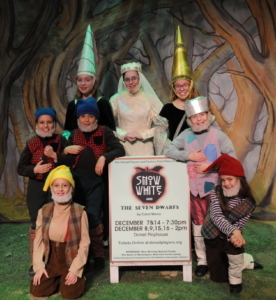 An integral part of the Northshire Bookstore, the Book Angel Program celebrates its 25th year this December. Each year, names of children who may not otherwise have access to books are collected from local schools; during the holiday season, new books are selected by booksellers and customers to be given as gifts to each child. Books are then delivered to the recipients just in time for the holidays. This is a great opportunity for the local community to come together and celebrate the coming months of giving; schools, businesses, and families are encouraged to come and bid on a cake. Our Holiday Shopping Marketplace returns for a second year on December 7 and December 8! Scheduled during our Annual Book Angels Fundraiser Cake Auction, the host of Food Network’s Baked in Vermont will present her key to making the best cakes. Learn to make doable, incredible celebration cakes that taste as good as they look! Her step-by-step instruction for baking, piping, and making decorations make each bit manageable, whether it's baking layers ahead of time and freezing, or taking the time to crank out a slew of gorgeous frosting flowers that hold beautifully in the freezer until you need them. No step is skipped or left unexplained. The layers are as easy as box mixes, and the smoothing and decorating instructions work the first time (not a thousand passes later). From custom shapes to complement a party theme to ultra-gorgeous towering layer cakes for special occasions, it's all within reach.